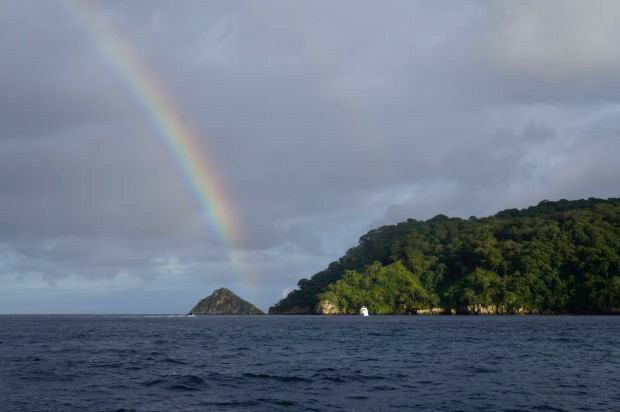 The Cocos Island is a magnificant open ocean diving destination located in the Costa Rican Pacific. 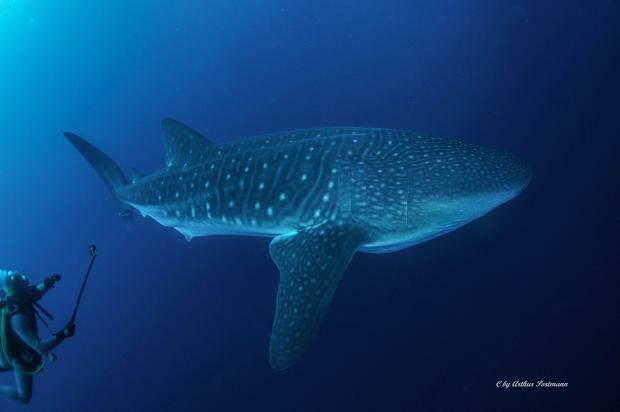 Many shark species, pelagic fish and large schools of various tropical fish species inhabit this protected marine area. 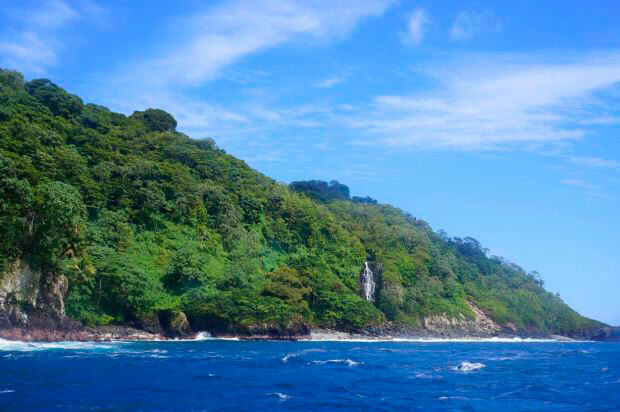 This place is only accessible with liveaboard diving cruises from Costa Rica. 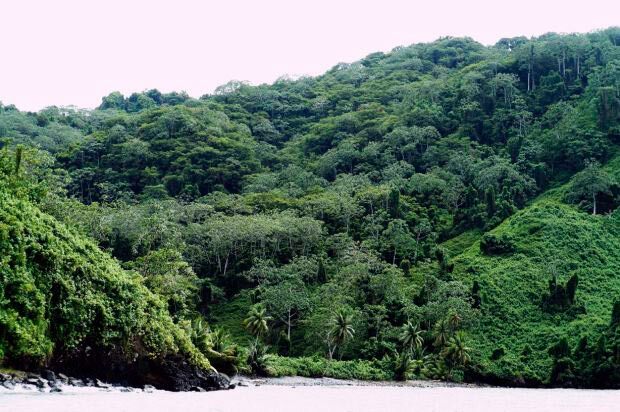 Location: Cocos Island is located 550 km (340 mi) from the Pacific shore of Costa Rica. The Island covers an area of 23.85 km2 (9.2 mi2), about 8x3 km (5x1.9 mi) and a perimeter of around 23.3 km. 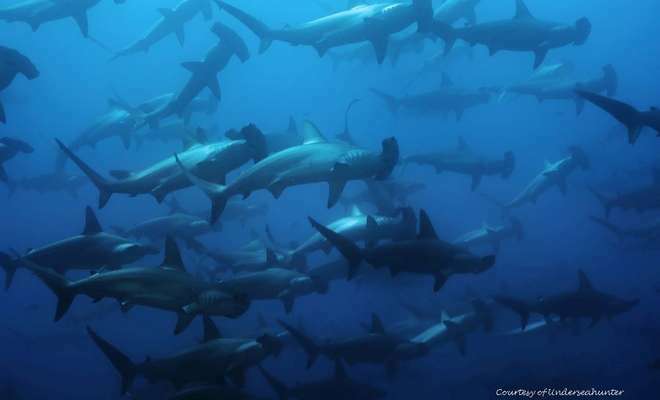 Marine fauna: Like Malpelo and Galápagos we may find large numbers of hammerhead sharks and a variety of other shark species. 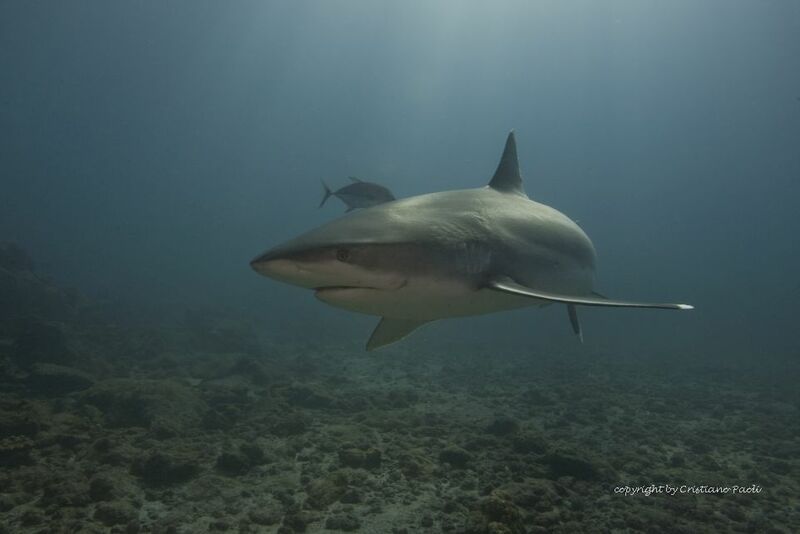 For a few years some tiger sharks are residents around Manuelita. In total there are 300 species of fish like giant mantas, yellowfin tuna, sailfish and sharks (scalloped hammerhead shark, Galapagos shark, whitetip reef shark, whale shark, silvertip, tiger shark), marine mammals like bottle nose dolphins, pilot whales etc. 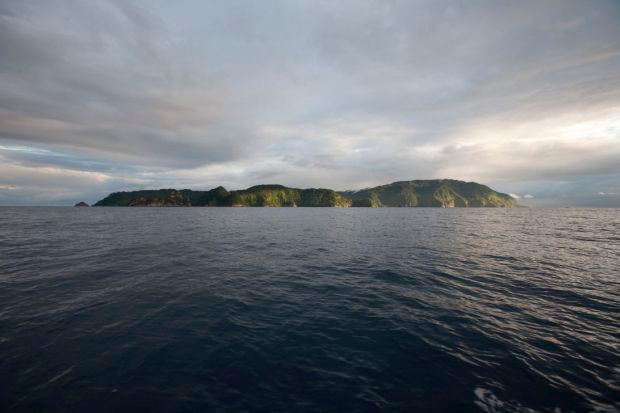 frequenting the waters of Cocos Island. Also Reptils like green-, hawksbill- and olive ridley turtle may be encountered. Hundreds of scalloped hammerhead sharks in Alcyone or Dirty Rock and one of the most action packed night dives on the world are only some of the highlights this island has to offer. 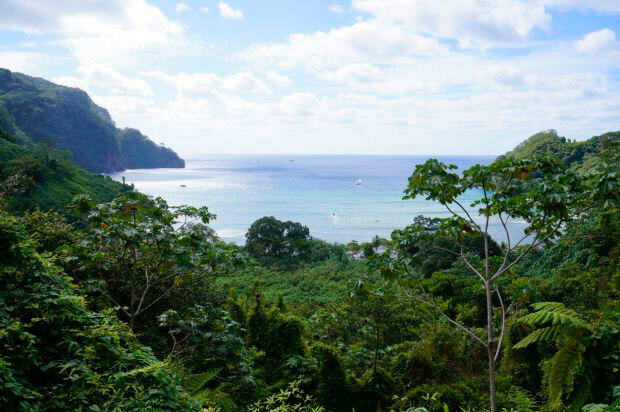 Cocos Island is known as a top spot among the experienced diver community but also to the general public thanks to the movie Jurassic Park. Cocos was declared a UNESCO World Heritage Site in 1997 and in 2002 it was extended to include an expanded marine zone of 1,997 km². 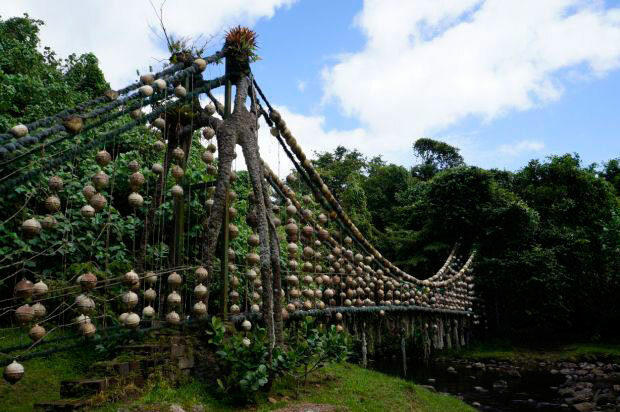 Furthermore Cocos has been included in the list of "Wetlands of International Importance". 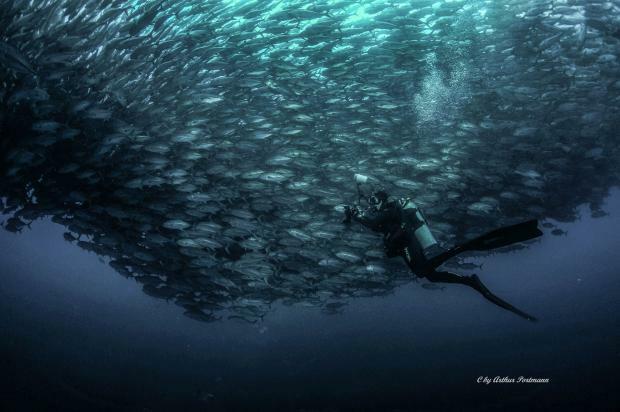 PADI (Professional Association of Diving Instructors) named Cocos one of the best 10 scuba diving spots in the world. The island is a "must do" according to diving experts. 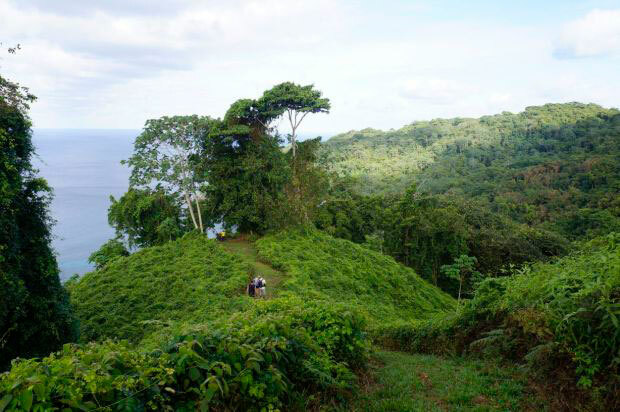 The main attractions are of course the big pelagic species and large fish schools, but also a hiking trip on the island will make you feel like in a nearly untouched natural paradise far from the civilised world. 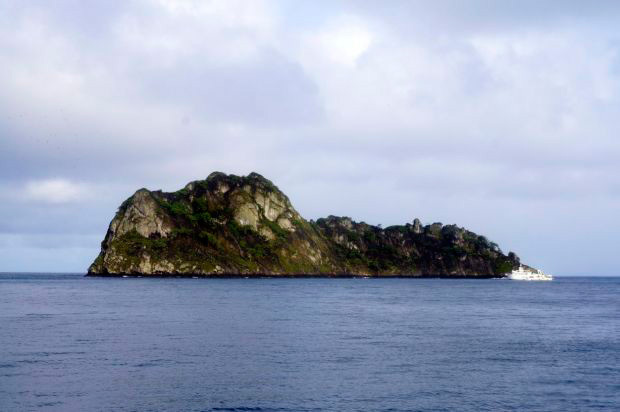 Cocos Island is not a suitable dive destination for beginner divers. 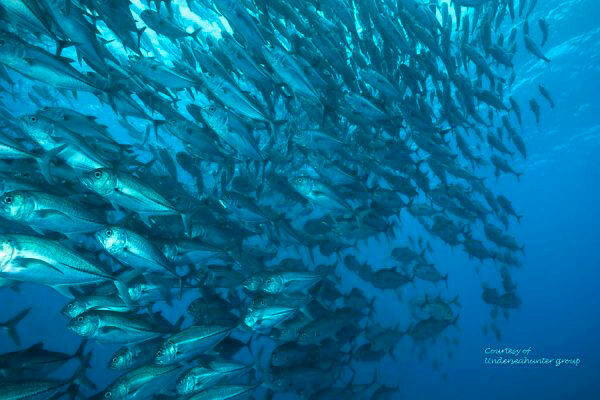 The exposed position in the open Pacific Ocean convert the underwater world into a fast changing environment. Strong currents, upwelling and termoclines may occur at any time. 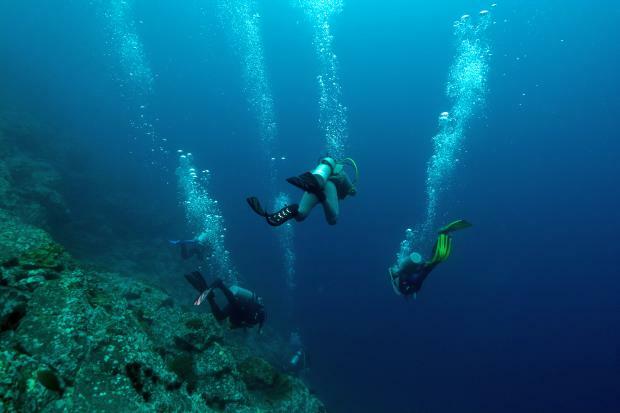 The 20 dive sites are located close around the island in compact location, from shallow reefs to steep drop offs, drift diving, to deep pinnacles and blue water diving. Cocos is a tropical island with a humide and warm climate. Air temperatures may vary between 22 and 33° Celsius and water temperatures range between 74 and 87°F (23-30°C). The Cocos Islands dry season is from January to May (generally quiter sea and better visibility up to 35m), and the wet season is from June to December (rougher climate, visibility 10 – 25m), which brings more plankton to the island and possibilities for Manta and Waleshark watching are increased. 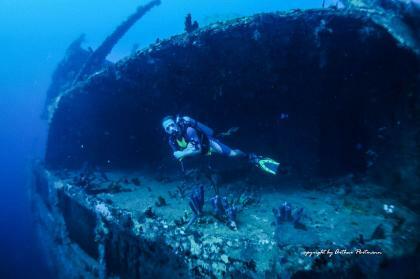 Neverthless diving in Cocos is a whole-year activity. Beautiful blue skies and heavy rain falls are possible throughout the year. 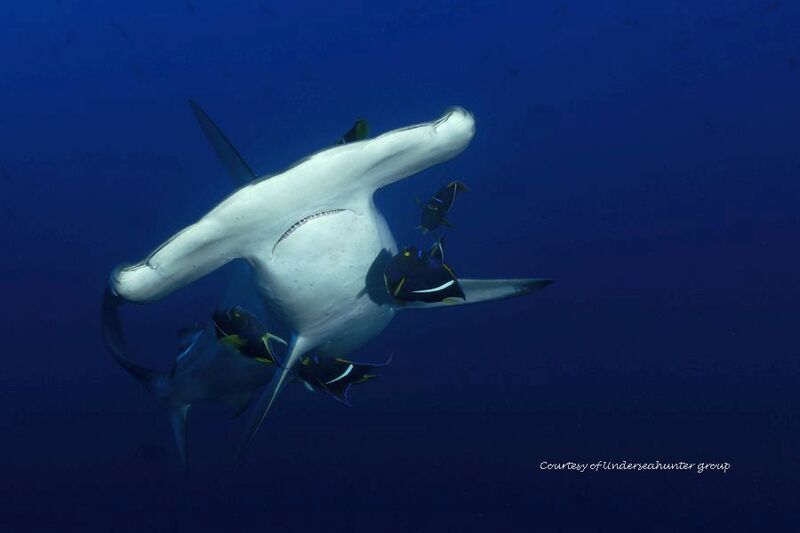 The Cocos Island features an amazing underwater world. 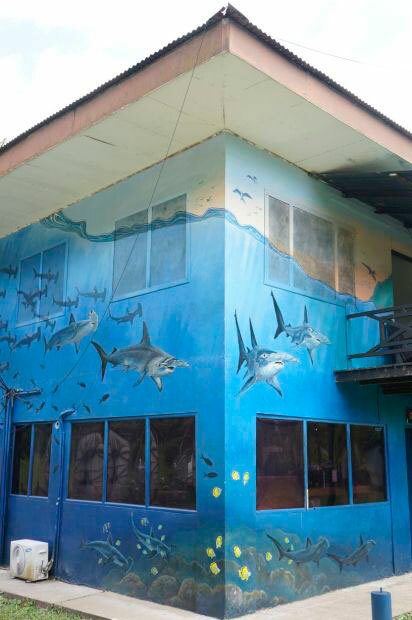 Like all the East Pacific open ocean dive destinations, Cocos offers many shark species, big pelagic and large tropical fish schools. 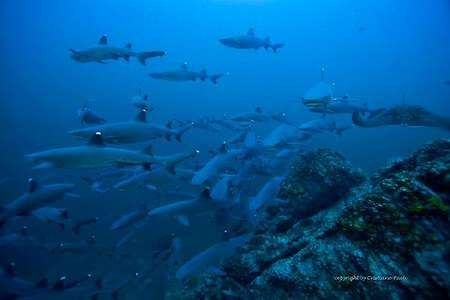 The island is frequented by big scalloped hammerhead schools, Silvertip and Galapagos sharks and uncountable white tip reef sharks. 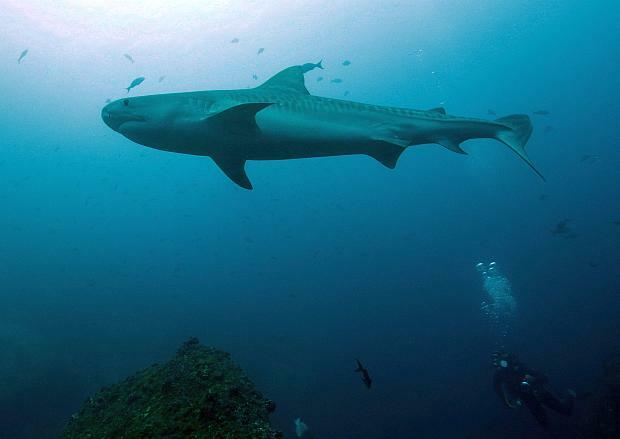 A special attraction are since a few years Tiger sharks in Manuelita. We saw them almost on every dive around this separate rock, sometimes they appeared also in Lobster Rock and the area between. 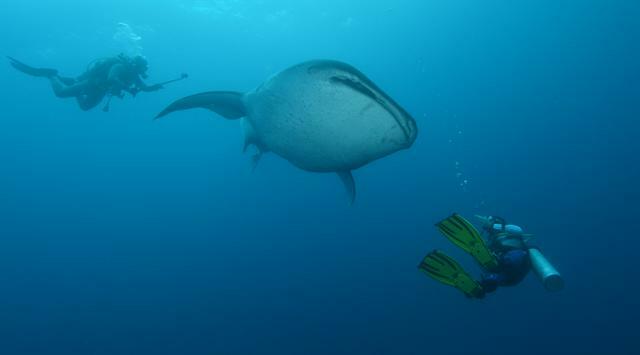 Special encounters with whale sharks, orcas and pilot whales are always possible in Cocos. The night dive in Coral Garden is a particular spectacle. 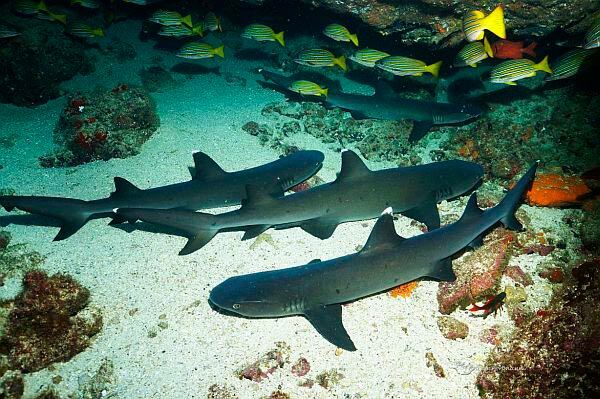 Many, many whitetip reefsharks following the hunting green jacks. 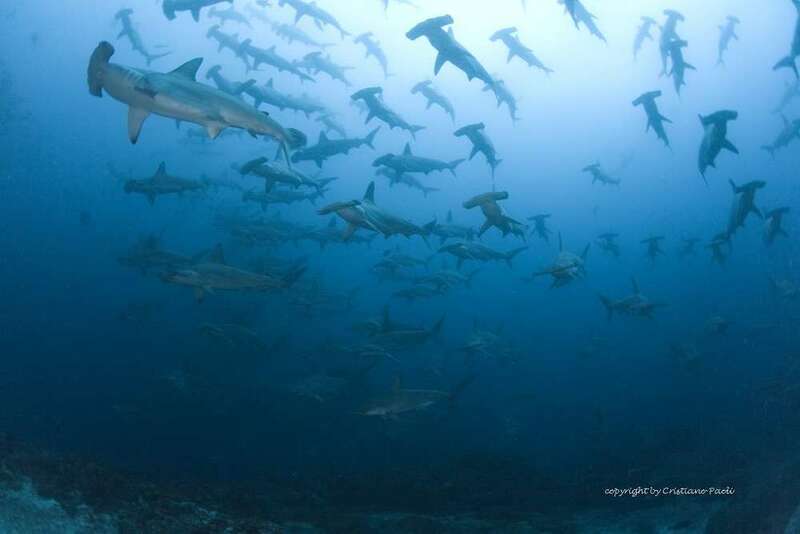 If they get a fish the frenzy starts which creates a ball of crazy whitetip reefsharks! 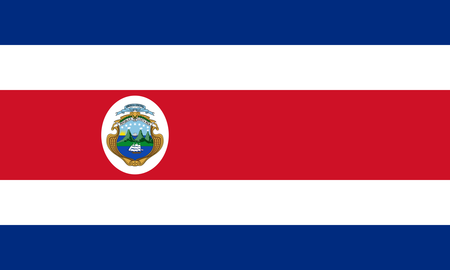 Republica de Costa Rica, a Central American country, bordered to the north with Nicaragua and Panama to the southwest. The official language is Spanish and the country has 4,301,712 (2011) inhabitants and 51,000 km2 extension. 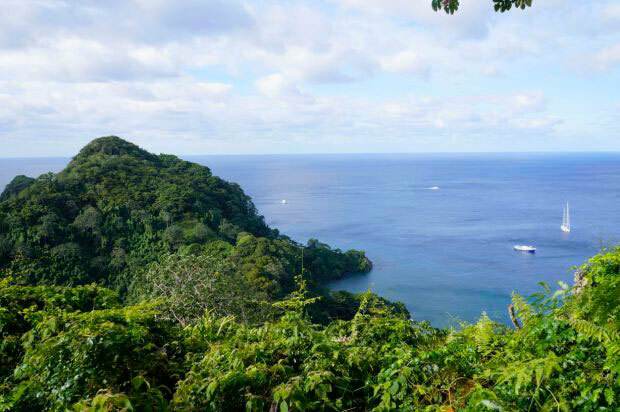 Costa Rica lies between the Caribbean Sea in the east and west to the Pacific. The official currency is the Costa Rican Colon. Do not wear jewellery or carry large amount of cash. Avoid street money-changers. And avoid stopping in poorly lit or low-populated areas to make telephone calls or seek directions. Watch your belongings carefully at all times and in all places. Be particularly careful of your belongings when staying in hostels and hotels. It is important that you lock valuable belongings, passport and travel documents in hotel safes where possible. You should only leave your belongings in a safe for wich you retain control of the key. Keep the key on your person. You should be vigilant when using busses. Theft of bags from overhead compartments inside busses is an increasing problem and efficiently carried out. Be particularly watchful of your valuables at the beach and in popular tourist destinations. Avoid leaving unattended drinks in bars and places of entertainment. Germany, Andorra, Argentina, Australia*, Austria, Bahamas, Barbados, Belgium, Brazil, Bulgaria, Canada, Croatia, Chile, Cyprus, Denmark*, Slovak Republic, Slovenia, Spain, United States, Estonia, Finland, France*, Hungary, Ireland, Iceland, Israel, Italy, Japan, Latvia, Liechtenstein, Lithuania, Luxembourg, Malta, México, Montenegro, Norway*, New Zealand*, Netherlands*, Panama, Paraguay, Poland, Portugal, Principality Of Monaco, San Marino, Puerto Rico, Serbia, South Africa, United Kingdom Of Great Britain And Northern Ireland, Czech Republic, Republic Of South Korea, Hellenic Republic (Greece), Romania, Vatican City, Singapore, Sweden, Switzerland, Republic Of China (Taiwan), Trinidad And Tobago and Uruguay. Passports should have a validity of more than six monts from the date of entry; if a longer stay is required the Costa Rican Embassy should be contacted for advice. Children under 18 may travel with a joint passport with their parents, legal guardians or travel companion, anyway we recommend to check with the Costa Rican Embassy what the current entry and Visa requirements are. 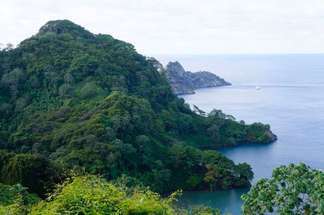 All visitors to Costa Rica arriving from any of the following countries (Colombia, Brazil, Venezuela, Peru, Ecuador, Bolivia, French Guyana, Angola, Democratic Republic of Congo, Gabon, Cameroon, Nigeria, Benin, Ghana, Burkina Faso, Liberia, Sierra Leone, Guinea, Gambia and Sudan) are now required to produce an international certificate of vaccination or prophylaxis documenting yellow fever vaccination before entry to Costa Rica will be granted. Certificates are valid 10 days after vaccination.